During your stay in Maui you may want to enjoy the great restaurants the island has to offer or rent a car. Maui Man has you covered. Check out these great people who offer remarkable products and services. Showing 3 Maui Car Rentals and places to Eat. Explore the island or drive the Road the Hana with your rental from Kihei Rent A Car. 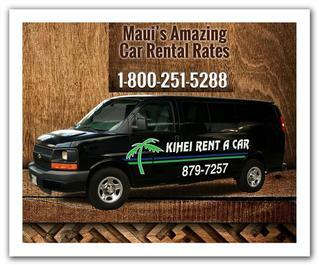 Kihei Rent A Car is a family-run business offering affordable rental car prices. Conveniently located on the south shore of Maui in the oceanfront town of Kihei. Airport shuttles available! Looking to rent a scooter on Maui? We carry ALL NEW scooters in many colors and styles. Single and Double seated scooters, and the home of the ONLY place to rent the awesome Pit Bull Scooter! The Ohana Seafood Bar & Grill is located in Kihei Maui, combining the freshest fish with local choice produce to create classic favorites. This is the most reasonably priced and delicious seafood you’ll find in a Polynesian atmosphere with that warm “true aloha” service. PEACE LOVE SHAVE ICE & COFFEE BAR IT'S A WAY OF LIFE! The best coffee! Shave Ice, Red Bull drinks, & Chai Tea. 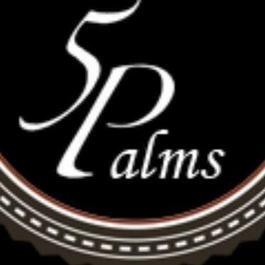 Overlooking the stunning coastline of Keawakapu Beach, Maui, 5 Palms Restaurant features innovative Maui Coastal Cuisine accompanied by spectacular sunsets over the sparkling blue waters of the Pacific Ocean.